TRAILER RENTAL ( W/DINGO OR MT52 ) ADDITIONAL $25.00 PER DAY $100.00 PER WEEK. 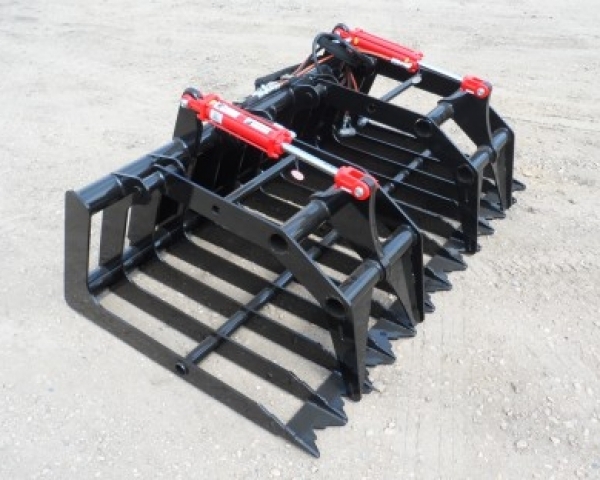 These walk behind bobcats are perfect for moving dirt, rock, sand or mulch. Customer is allowed 8 metered hours per day and 40 metered hours per week. Works well for excavating for a paver patio. Several attachments are available for a variety of jobs. (see combo packages). Track system minimizes down pressure. Wont tear up grass like wheeled machines. 35 1/2 ” wide. Fits through a standard gate. Bucket has a 4 cubic ft. capacity. Max lift capacity is 500 lbs. Max dump height is 5′. Will dump into standard dump box. 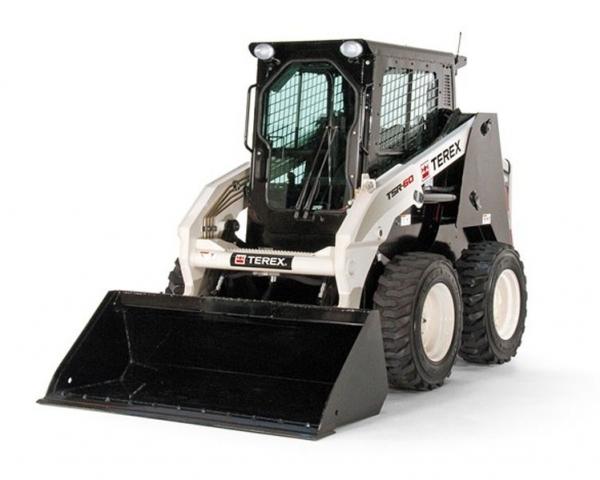 Bobcats are commonly referred to as skid steers. 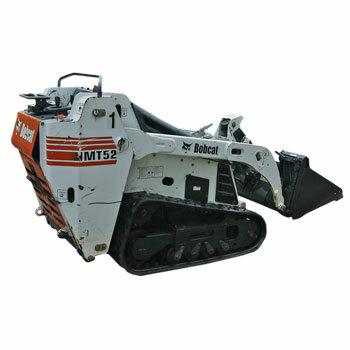 These machines are available with a variety of attachments. Please check page 2 or page 3 for additional package options. Note: Columbia Heights Rental rents the Toro Dingo TX420 and the Bobcat MT52 as the same machine. 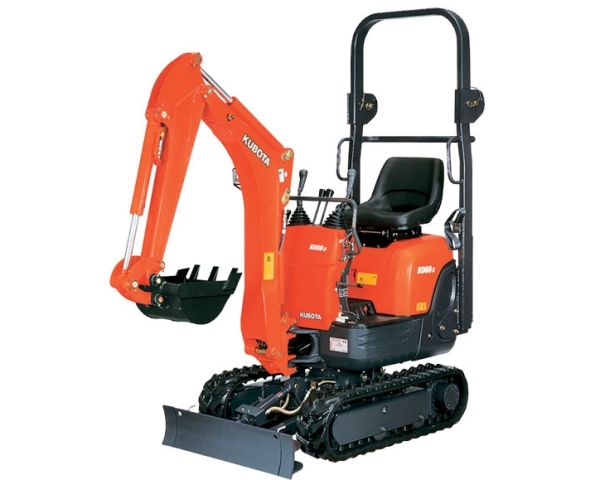 Width: Dingo – 34″ at machine, 42″ at bucket. (raise bucket to drive through gate). MT52 – 35 1/2″ overall. Weight: Dingo – 1830 lbs. Max lift height: Same – 5′. 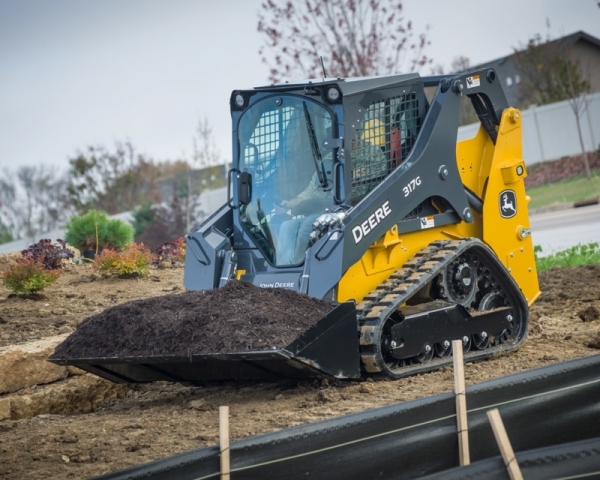 Bucket capacity: Same – 4 cu. ft.
Because these machines have equal ability we cannot reserve or guarantee one machine over the other due to personal preference. Note: Video is for demonstration only and may include accessories not available.